The Swing classes eliminate Java's biggest weakness: its relatively primitive user interface toolkit. Swing provides many new components and containers that allow you to build sophisticated user interfaces, far beyond what was possible with AWT. The old components have been greatly improved, and there are many new components, like trees, tables, and even text editors. It also adds several completely new features to Java's user interface capabilities: drag-and-drop, undo, and the ability to develop your own "look and feel," or the ability to choose between several standard looks. The Swing components are all "lightweight," and therefore provide more uniform behavior across platforms, making it easier to test your software. All these new features mean that there's a lot to learn. Swing is undoubtedly way ahead of AWT -- or, for that matter, any widely available user interface toolkit -- but it's also a lot more complicated. It's still easy to do simple things. But once you've seen what's possible, you won't want to do the simple things. Java Swing gives you in-depth coverage of everything you need to know to take full advantage of Swing, providing detailed descriptions of every class and interface in the key Swing packages. It shows you how to use all of the new components, allowing you to build state-of-the-art user interfaces. It also discusses how the components implement the MVC (Model View Controller) architecture, so you can understand how the components are designed and subclass them intelligently. Finally, it shows how to create your own "look and feel." Throughout, Java Swing focuses on giving you the context you need to understand what you're doing. It's more than documentation; Java Swing helps you develop code quickly and effectively. 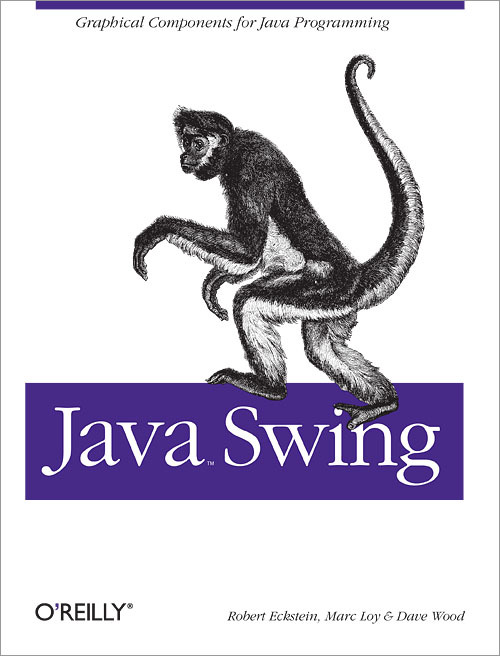 Whether you're a serious Java developer, or just trying to find out what Java can do, you'll find Java Swing an indispensable guide.